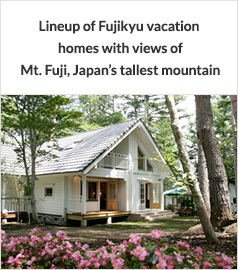 These vacation home areas, with Japan’s best views of Mt. 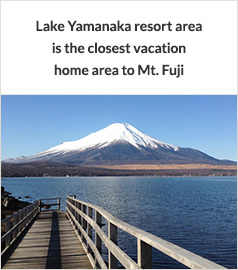 Fuji, are appealingly close to airports and Shinkansen stations. Lake Yamanaka resort area features a perfect balance of all elements including access, nature, climate, and living environment. 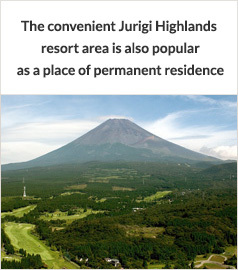 Jurigi Highlands resort area is a highland vacation home area that still offers a comfortable living environment including good access to public transportation and ample communities. 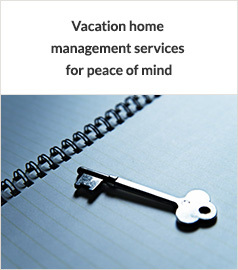 We offer the highest grade of services to owners, 24 hours a day, so they can experience comfort without having to deal with the troublesome aspects of owning a vacation home. We believe vacation homes are places for customers to embody their hobbies and preferences, and plan and develop products from a unique viewpoint. Please contact us if you are interested in vacation homes in the Mt. Fuji area. We can send materials about our residences to people living in Japan. © FUJIKYUKO.CO,LTD. All Right Reserved.